“Promoter” A Promoter in Party Ace terms, is a person, team or group that create and list events on the Party Ace platform, to promote their events and, if so wish, to sell tickets for those events on the Party Ace platform. “User” A user in Party Ace terms, is a person that utilises the Party Ace platform to find event(s) and/or purchase tickets for their event(s). “The Services” Party Ace websites and domains, including www.party-ace.om, and all of the webpages, subdomains, all of the services available on or through the site or otherwise provided by us, and all of our mobile applications, (collectively, our “Platform”), are offered, maintained and provided by Party Ace. We refer to all of these as our “Services”. 2.1. Set forth the terms and conditions upon which Promoters can use the Services to create, promote and/or collect sale proceeds for an event selling tickets. 2.2. Set forth Party Ace refund policies and procedures for whenever a User request a refund. 3.1. By accepting the Terms of Service, you agree to the terms of this Agreement without modification and enter into a binding contract with Party Ace, which will be applicable when and if you use the Services to create, promote and/or collect sales proceed for an event selling tickets. (a) provide this information in a timely, accurate and complete manner and (b) maintain and promptly update this information in a timely manner to ensure it remains accurate and complete at all times. 4.3. We reserve the right to suspend your Party Ace account or to withhold any amounts due to you in the event that we reasonably believe that your Registration Data or Additional Registration Data is inaccurate or if you fail to provide all Registration Data or Additional Registration Data within the timeframes requested. 6.1. Promoters collecting sales proceeds for paid events will be using what is known “Party Ace Payment Processing,” “PAPP,” or the “PAPP Service,” in which Party Ace acts as Promoter’s limited payment collection agent for the purpose of collecting sales proceeds through its Payment Processing Partners (as defined below). 6.2. For the avoidance of doubt, Party Ace does not and will not provide banking, deposit taking, stored value, insurance or any other financial services to a Promoter other than serving as a limited payment collection agent as set forth below. To provide the PAPP Service, Party Ace utilises third party gateways, payment processors, merchant acquirers and/or merchant acquiring banks with which we have relationships (collectively, “Payment Processing Partners”) and both Promoters and Party Ace are subject to the rules and regulations of such Payment Processing Partners. For convenience, Party Ace shows you a balance of proceeds for your events in your Party Ace account, however, that balance merely reflects the amount of Event Sales collected by our Payment Processing Partners (PAPP), and represents only a general unsecured claim against Party Ace and not a store of value or a deposit/current account. 6.3 Upon an order being placed by an User and confirmed through Party Ace, Party Ace generates a confirmation message and issues a unique E-ticket and order number for such User order. Promoter agrees to unconditionally accept, honour and fulfil all ticket sales that have been confirmed by Party Ace through the Services, and it is Promoter’s responsibility to verify an Attendee’s ticket and/or any event restrictions prior to the applicable event. 6.5 If you require PAPP, then upon receipt of Additional Registration Data, Party Ace will determine, in its discretion, whether you are qualified to use PAPP. If you are not qualified to use PAPP, but you are otherwise qualified to use the Services, Party Ace will notify you unless the reason that you do not qualify for PAPP is that your event is a Prohibited Event, in each case as such terms are defined in Section 15. For risk management and security reasons and to meet the requirements imposed by our Payment Processing Partners, we may from time to time in our discretion impose a transaction limit on the amount of any given transaction that you process through PAPP and you authorise us to reject any transaction over that limit. 6.6 When using PAPP, payment processing occurs directly through our Payment Processing Partners. Within five (5) business days after the successful completion of an event, Party Ace will cause our Payment Processing Partners to pass along all Event ticket sales that have been collected by our Payment Processing Partners, subject to deduction of all applicable Fees then due. PAPP may allow you to accept payments from card based payment networks, such as Visa®, MasterCard® and American Express® (collectively, the “Card Schemes”).You are not a direct party to any agreement with any Payment Processing Partner or Card Scheme, nor are you a third party beneficiary of any such agreement. In addition, by accepting a particular Card Scheme payment type (e.g., MasterCard, Visa, American Express), you are authorizing the owner of that Card Scheme and its affiliates to use your name, address and website URL in any media from time to time. With respect to any events for which Promoter uses PAPP, Promoter hereby appoints Party Ace as Promoter's limited payment collection agent solely for the purpose of collecting payments made by Users for such events through our Payment Processing Partners. Promoter agrees that a payment made by a User to Party Ace shall be considered the same as a payment made by a User directly to Promoter and Promoter will sell or provide all advertised services to the User as if Promoter had directly received the Event Ticket Sales from such User, regardless of whether the Event Ticket Sales have yet to be received from Party Ace. Promoter agrees that in its role as limited agent, Party Ace is authorised to (i) enable Users to transfer or upgrade a ticket (if such transfers are permitted by Promoter during the event registration process); (ii) hold, disburse and retain proceeds on Promoter’s behalf pursuant to this Promoter Agreement; (iii) issue refunds to Users as set forth in section 13 below; and (iv) manage credit card chargebacks as set forth below. In accepting appointment as the limited agent of Promoter, Party Ace assumes no liability for any acts or omissions of Promoter and Promoter understands that Party Ace’s obligation to pay Promoter is subject to and conditional upon receipt of the associated Event Ticket Sales from Users. No payments shall be made to Promoter with respect to any event that is cancelled or with respect to which Party Ace believes there is a risk of cancellation or non-performance, unless Party Ace receives adequate security (as determined by Party Ace in its discretion) for Promoter’s obligations under this Promoter Agreement. In addition, no Event Ticket Sales for a given event shall be earned until that event is successfully completed. If payments have already been made to a Promoter for a cancelled event, Promoter will immediately refund to a payment address designated by Party Ace all such payments upon cancellation of such event for the purpose of effecting refunds if refunds are being made under section 13 below. 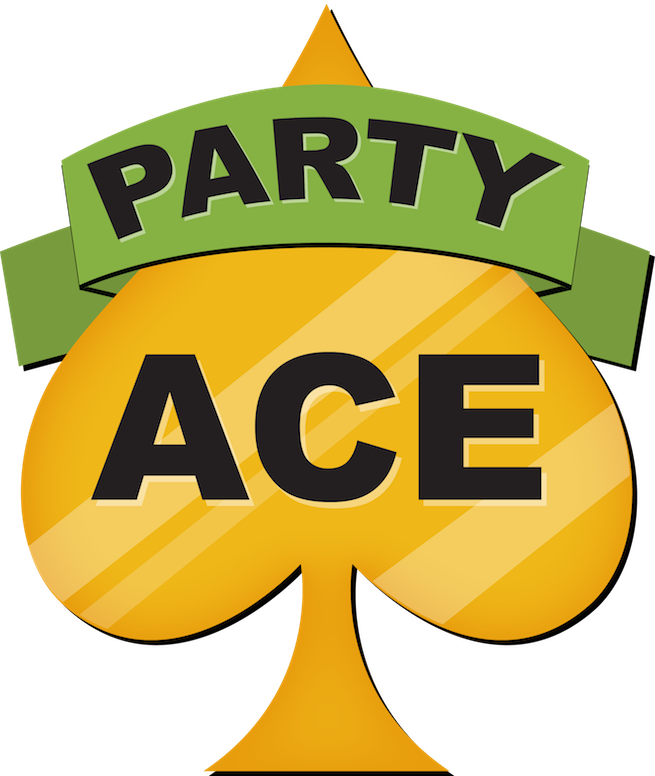 Party Ace reserves the right to retain a certain percentage of Event Ticket Sales (with such percentage being determined by Party Ace in its discretion) to fund a reserve (i) at any time as we determine in our discretion to be necessary based upon the level (or expected level) of refunds, disputed charges, chargebacks, customer complaints, allegations of fraud or changes in Promoter’s credit profile or the underlying event(s)’ risk profile; and (ii) as otherwise necessary to secure the performance of your obligations under the Terms of Service, including this Promoter Agreement. Party Ace’s right to hold a reserve shall continue following the applicable event(s) and until either (A) Promoter has discharged all obligations under the Terms of Service and the applicable periods for refunds, disputed charges, chargebacks, and complaints have passed or (B) Promoter has otherwise provided Party Ace with adequate security (as determined by Party Ace in its discretion) for its obligations under the Terms of Service, whether matured or unmatured, contingent or non-contingent, or liquidated or unliquidated. Any credit card chargebacks or other transaction reversals initiated against Party Ace or its affiliates for any reason (except to the extent they are caused solely by Party Ace’s negligence or willful misconduct) with respect to a Promoter event and all related credit card association, payment processing, re-presentment, penalty and other fees and expenses incurred by Party Ace or its affiliates in connection with such chargebacks shall ultimately be the responsibility of Promoter, and Promoter agrees to promptly and fully reimburse Party Ace for such amounts on demand. As part of Party Ace’s limited payment collection agency, Party Ace will use commercially reasonable efforts to manage the re-presentment of such chargebacks and reversals on behalf of Promoter and Promoter hereby authorizes Party Ace to do so and agrees to use reasonable efforts to cooperate with Party Ace in such re-presentment. However, Party Ace shall have no obligation to represent any chargeback that it believes in its discretion it is more likely than not to lose or that relates to a transaction that should be refunded in accordance with the Promoter refund policy or the provisions below. Understanding the nature of the Payment Scheme Rules (as defined in section 12 below) and the discretion that they provide to the Card Schemes, both parties agree that Party Ace’s loss of any chargeback that has been re-presented by Party Ace shall not in any way limit Promoter obligation to reimburse Party Ace and its affiliates under this paragraph. Party Ace only provides the Party Ace Payment Processing Service for certain currencies. In addition, Event Ticket Sales collected in a currency may only be paid out to Promoter in the currency in which they are collected. Party Ace does not provide currency conversion services. The Payment Scheme Rules require that you comply with all applicable bylaws, rules and regulations published by them from time to time. We may be required to change this Promoter Agreement in connection with amendments to the Payment Scheme Rules. You agree to comply with any applicable Payment Scheme Rules as in effect from time to time. These Payment Scheme Rules, include without limitation, a requirement to submit only bona fide transactions, limits on how you use the Card Scheme logos and trademarks and authorization to use certain of your information to show that you participate in the Card Schemes. The Payment Scheme Rules are publicly available from the websites of the related Card Scheme. A User is entitled to a Refund with respect to each event posted on the Services that meets the requirements of the User Refund Policy available here and Party Ace will administer such policy in accordance with the terms and the User Refund Policy Requirements. In the event a chargeback occurs, Party Ace will initially bear the charge back fees, however, Party Ace reserves the right to pass these charges on to the promoter where we see fit. The User Refund Policy is incorporated by reference into this Promoter Agreement. All refunds for PAPP transactions must be processed through Party Ace, unless otherwise agreed by Party Ace. Notwithstanding the foregoing, Promoter authorises Party Ace to make refunds in the following situations (i) Promoter specifically authorises the refunds at the time; (ii) Party Ace believes in its discretion that specific orders should be refunded under the User Refund Policy Requirements, including without limitation, that they are required by applicable local, state, provincial, national or other law, rule or regulation or the Payment Scheme Rules; (iii) Party Ace believes in its discretion that the refund request, if not granted, will lead to a chargeback that Party Ace is more likely than not to lose; (iv) Party Ace believes in its discretion that specific orders are fraudulent (e.g., made with stolen credit cards or otherwise not bona fide transactions); or (v) Party Ace believes in its discretion that the order is a duplicate. Promoter also authorises Party Ace to make refunds of any and all orders (including those for unrelated events) if (A) Party Ace believes in its discretion that Promoter has engaged in any fraudulent activity or made any misrepresentations; (B) Party Ace believes in its discretion that there is substantial risk of non-performance by Promoter with respect to the applicable event or future events; (C) Party Ace believes in its discretion that it is likely to receive complaints, refund requests, transaction reversals and/or chargebacks with respect to a substantial amount of orders; or (D) Party Ace believes in its discretion that Promoter is a Prohibited Merchant, has used the Services to process Prohibited Transactions or to manage Prohibited Events or that failing to make the refunds would otherwise expose Party Ace to legal liability. Because all sales are ultimately made by Promoters, Promoter hereby agrees to promptly and fully reimburse Party Ace and its affiliates upon demand for refunds that Party Ace makes pursuant to this Promoter Agreement, other than to the extent that the necessity for such refunds are caused by Party Ace’s negligence or willful misconduct. Promoter acknowledges and agrees that chargebacks will result in losses to Party Ace in excess of the amount of the underlying transaction and that by refunding transactions in advance of a chargeback Party Ace is mitigating such losses and its damages with respect to Promoter’s breach of this Promoter Agreement. 14.1 You, the Promoter, are solely responsible for determining which, if any, sales, use, amusement, value added, consumption, excise and other taxes, duties, levies and charges (collectively, “Taxes”) apply to your use of the Services and you agree that it is your sole responsibility to, and that you will, collect, remit and report the correct amounts of all such Taxes to the applicable governmental authorities. If you do collect Taxes on the Services, those Taxes will be treated as part of the Ticket Sales and Party Ace will pay such amounts to you, at the same time, inclusive of Ticket Sales Pay outs. Party Ace cannot give you legal or tax advice, so please be sure to check with your own tax advisor about any applicable Taxes. In the event that a governmental authority requires Party Ace to pay any Taxes attributable to your use of the Services, you agree to promptly and fully reimburse Party Ace for such Taxes upon demand and all costs, penalties, interest and expenses related thereto. 14.2 Party Ace reserves the right to withhold the payment of any amounts owed to you hereunder and dispose of them as required by applicable local, state, provincial, national or other law, rule, regulation, judgment or order, in each case as determined by Party Ace. (c) you are not listed in the MasterCard MATCH terminated merchant database or Visa terminated merchant file and your right to access each Card Scheme is not presently revoked or suspended. (d) any transaction that would constitute sending money to another party other than for the purchase of bona fide for events, or sale of items related to such events. (e) refer you, your events and/or your transactions and information relating to the same to our Payment Processing Partners, the Card Schemes, and/or applicable law enforcement agencies for further action. In addition to the representations and warranties contained herein, you represent and warrant to us that (a) if you represent an entity, that entity is duly organised, validly existing and in good standing under the laws of the state, province or country of its formation; (b) you, or the entity you represent (if applicable), have all requisite power and authority to enter into this Agreement and to carry out the transactions contemplated hereby; (c) the entering into and performing of this Agreement by you, or if you represent an entity by the entity you represent, will not result in any breach of, or constitute default under, any applicable local, state, provincial, national or other law, rule, regulation, judgment or order, or other agreement to which you or it is a party, including without limitation, any other agreement for the sale of tickets; and (d) if you represent an entity, you have the full right, legal power and actual authority to bind such entity to the terms and conditions hereof. Party Ace reserves the right to change the terms of this Agreement at any time, without prior notice. However, Party Ace will notify Promoter via email and at first Log-in of any changes made. If you choose to accept the changes the agreement between Party Ace and Promoter will continue; if you choose not to accept the changes the agreement between Party Ace and Promoter will terminate with immediate effect and any funds already collected will be held until five working days after the event, unless a refund had to process as per the refund policy above. Although Party Ace will endeavour to give as much notice as possible, Party Ace reserves the right to do any of the following, at any time, without notice: (1) to modify, suspend or terminate operation of or access to the Platform, or any portion of the Platform, for any reason; (2) to modify or change the Platform, or any portion of the Platform; and (3) to interrupt the operation of the Platform, or any portion of the Platform, as necessary to perform routine or non-routine maintenance, error correction, or other changes.